On the finale of the AMC drama The Walking Dead, it became the "last day on earth" for someone. During the last moments in the episode, Negan determines whose head he will bash in by playing a deadly game of eeny meeny miny moe. While doing so, he wields his barbed wire-infused bat around with the intent of taunting his captives. What's up with baseball bats this year? First Beyoncé, then Harley Quinn, and now Negan. Anyway, the show ends on a cliffhanger, but not without leaving some hints as to who dies. So who will Negan kill on The Walking Dead? Let's weigh in. "My mother told me to pick the very best one, and you are..." Negan recites as he goes from person to person. Suddenly, there is silence, and the camera shots become different than those before for a select few. We see Daryl, Abraham, Carl and then Rick come face to face with Lucille (Negan is a psycho, so yeah, he named his bat). Once he picks his victim, Negan says "anybody moves, anybody says anything, cut the boy's other eye out and feed it to his father..." Does this mean that it's definitely not Rick or Carl? Probably. OK, so who is it? Rumors and a sneak peak suggest that there's more than one body. In an interview with The Tonight Show, Norman Reedus teased audiences everywhere stating: "...we've taken the show and just flipped it upside down. It's a different show now. It's going to have a different feeling." I wonder if that "different feeling" will be inspired when a key player gets plucked from the show. 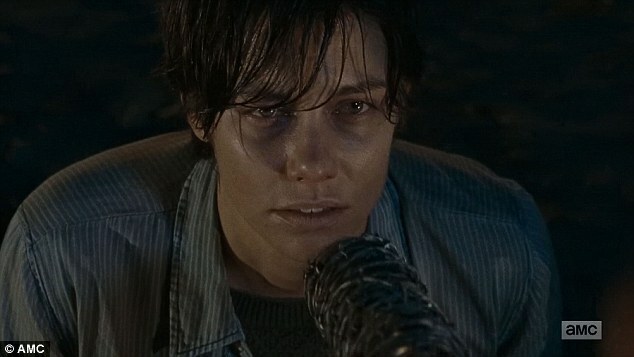 So, who could be Negan's victim? The baby daddy has been close to death before, and everyone that Maggie touches always winds up dead. Unless this man has nine lives, I feel like his time on the show might be running out. And if the comics have a say in this then Maggie will become a single mother. Lauren Cohan, the actress who plays Maggie on the show, has been posting content on her social media account from locations different from the ones where the current season is filming. She supposedly posted an image on Instagram from the beach in May at a time the show was filming. And her Walking Deadcontent is pretty light on social media these days. I think this conclusion might be a little too dark, even for Negan, but it's a definite possibility, especially after Norman Reedus called the show "really, really heavy" on The Tonight Show. The first episode of Season 7 is called "The Day Will Come When You Won't Be." In the last episode of the first season, Dr. Jenner says those exact words. Dun. Dun. Dun. Like I said in the beginning, Rick probably doesn't die, but that doesn't mean someone close to him won't. Like Hades went after Megara to get back at Hercules, Negan might go for Michonne to hurt Rick. If he does, it could reignite the crazy in Rick. We've already seen him snap once before, after the loss of his wife, Lori, so I don't think they would play that card again. With that, and the fact that she's such a badass, I'd say she's safe. Just look at that face. Does anybody really care about this guy? I'm not really attached to him, so I wouldn't mind saying sayonara to him and that g0d-awful hairdo. Boy, byeeee. But based on Norman Reedus' (Daryl) comment on The Tonight Show, I don't think it's him that dies either. "I imagine a lot of people will be kicking their television sets," Reedus remarked. I wouldn't kick mine for this guy, sorry. Then again, he has victim eyes, and killers like that kind of thing. Lol, I forgot he existed. Aaron, do you even go here? 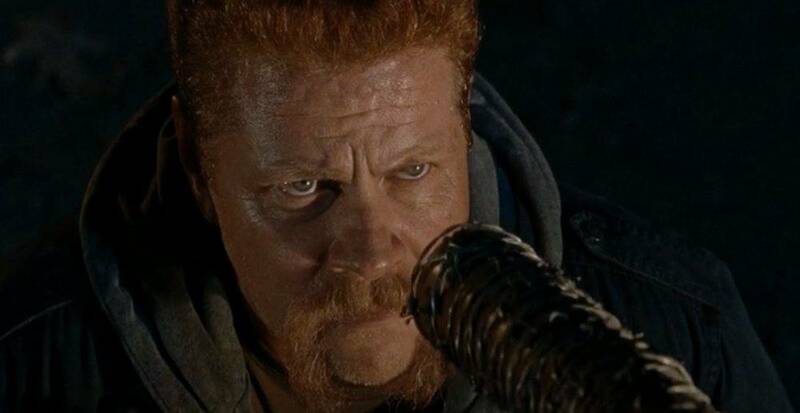 Hmmm, do people really want to see Abraham with Sasha? 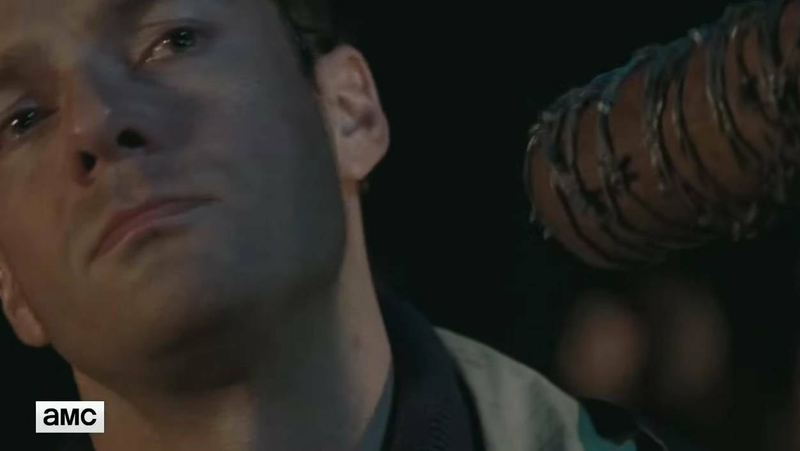 Karma might come for this guy after he ditched Rosita. What goes around comes around, my dude, so my money's on you. I can't see that pretty face with blood all over it, so it's a no from me. This girl was just left by Abraham, so she has crazy in her blood. When a girl has that anger coursing through, she is invincible. Besides, we just started to get to know her more, why pull us away so soon? "You're going to see your favorite characters in a position that they've never been in before, which is super vulnerable and victimized." Heard that? He said "favorite characters"! The strong will survive. All this thinking is giving me a headache. All I can say is I've never been more excited to see who gets murdered! Oh, this is why I'm single. See who gets their block knocked off on Sunday, Oct. 23 at 9 p.m. on AMC. Batter up.